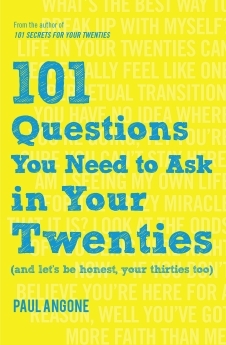 Whether you just polished off your college graduation cake, are in your twenties or thirties struggling through a quarter-life crisis, you&apos;re simply trying to figure out how to become all grown up, or you&apos;re a parent looking for that perfect college graduation gift or Christmas gift for your twentysomething, 101 Questions You Need to Ask in Your Twenties is the book for you. What&apos;s the best way to know if you&apos;re actually ready to get married? Where&apos;s the future of work headed and what does having a successful career look like today? How do I make a choice when I don&apos;t know what to choose? Am I seeing the other side of people&apos;s Instagram photos (you know, the side they&apos;re not exactly posting pictures of)? 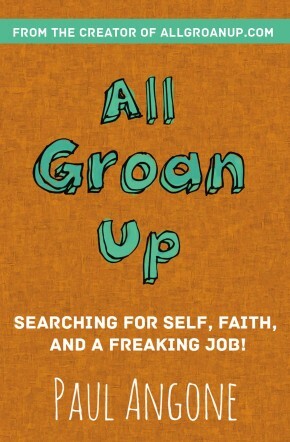 After his success with 101 Secrets for your Twenties and connecting with millions of twentysomethings around the world through speaking engagements and his blog AllGroanUp.com, Paul Angone captures the hilarious, freakishly-accurate assessment of life as a modern-day twentysomething (and thirtysomething) facing real Millennial problems, but now he&apos;s digging even deeper. 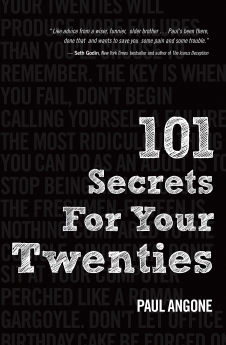 If you&apos;re drowning your anxieties in Netflix and ice cream, are afraid you&apos;re failing, going crazy, or both, or are just longing for a little guidance to get past “just getting by,” grab this book and start thriving in the most "defining decade" of your life.